Drawing fruits is one of the first things art students do in college. As some of the easier objects to learn to draw due to the shape, it is important to be able to capture the texture of fruit with the right detailing. 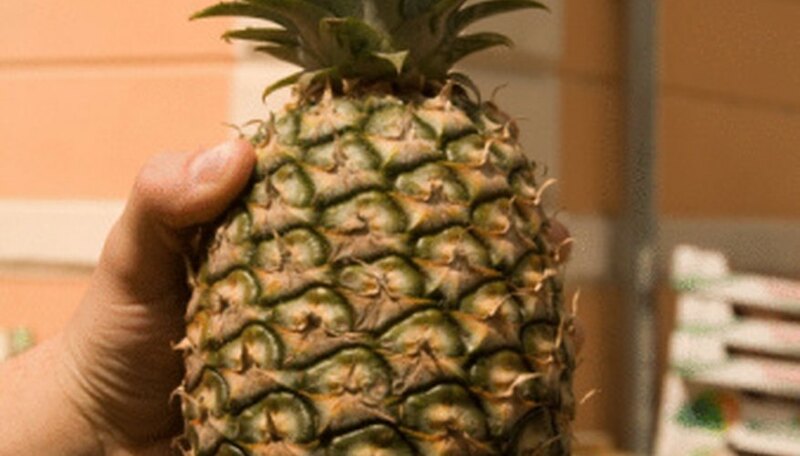 A pineapple is very distinctive and is a bit trickier to draw than an apple, for instance, due to its odd appearance. However, you can learn how to draw a pineapple in a few steps. Use a pencil to draw a slightly pear-shaped oval on a piece of paper in a sketch pad. Make the top of the oval slightly larger than an actual pear shape. Create a straight vertical line running through the middle as a guide. Draw diagonal lines at the top of the oval. Make them about medium-length, not too long or too short. They should be about one-quarter the length of the body of the oval shape itself. These will serve as the guidelines for the leaves of the pineapple. Fill out the lines on top of the oval. Draw leaf shapes around the lines, starting from the very top of the oval and curving them slightly at the sides. Create a point at the tips of each of the leaves. Draw diagonal lines at approximately a 120-degree angle across and down the oval, from top to bottom; space them out so there are eight to 10 lines in total. Draw a second set of diagonal lines going in the opposite direction to create a crosshatch over the first lines. Draw short lines in the center of each diamond to give the effect of textured pineapple skin. Add color with colored pencils or crayons if you want. Renee Gerber has over 14 years of editorial experience and is an editor for a sports website. She has published several articles on pro-wrestling at BleacherReport.com and other websites. She obtained a Bachelor of Arts degree in journalism at Baruch College in 2001 and is enrolled in a program to obtain a certificate in digital design.